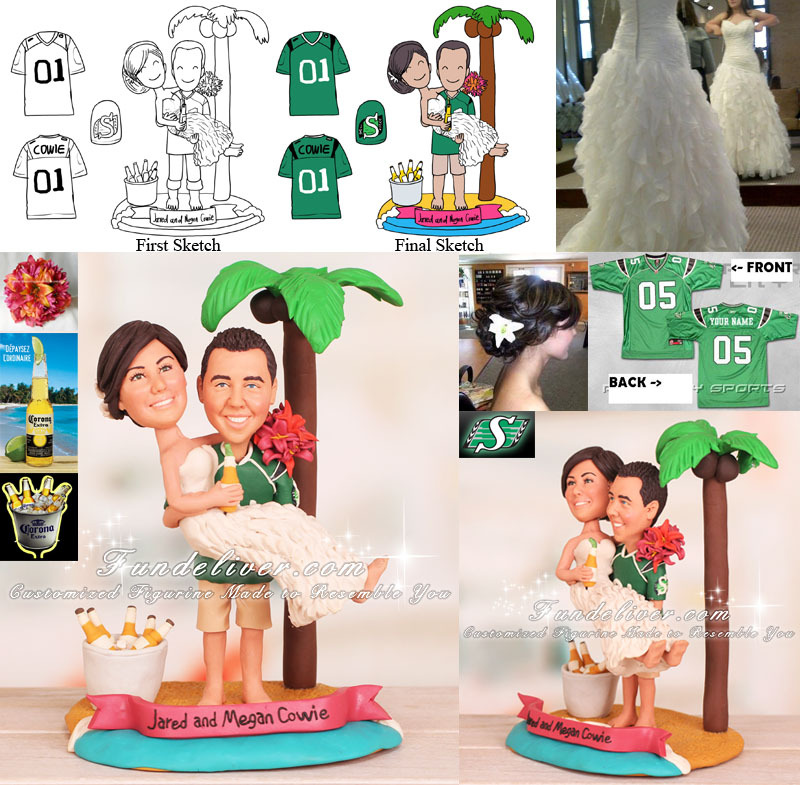 This is a completely customized CFL Saskatchewan Roughriders football and beach wedding cake topper ordered by one of our customers. 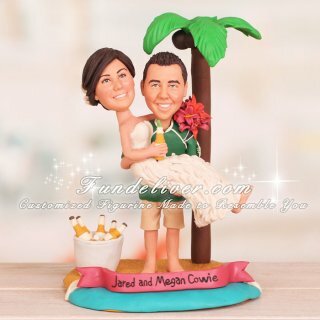 They would like their cake topper to be similar to our Seaside Wedding Topper for Destination Wedding, but also want to incorporate their favorite football team in. The groom is wearing a green jersey with the Saskatchewan Roughriders logo on each sleeve and numbered 01 with the name COWIE on the back, shoulders and tan shorts. He is barefoot. The bride is wearing a wedding dress that is form fitting on the top and then poufy at the bottom in vertical wave like layers. The hair is in a low, loose updo with a flower, no veil. In one hand she is holding a flower bouquet. In the other, she is holding a bottle of Corona with a lime wedge. She is barefoot, too. The groom is holding the bride, standing on the beach with a palm tree behind.